SEAN: I am, of course, picking Urusei Yatsura. For reasons I have already stated. That said, I suspect I know where the other picks will be headed. Again. Which is fine, as I love that too. MICHELLE: I haven’t read that title in question yet, and thus feel weird picking it, so I’m actually going for the second volume of Ran and the Gray World. Although there’s one character I could entirely do without, the premise is neat, Ran’s brother is pretty awesome, and the art is freaking gorgeous. I just hope the story goes in a direction that isn’t creepy. MELINDA: I mean, do you even have to ask? There’s some good stuff on the list, but y’know. Silver Spoon. Always Silver Spoon. ANNA: I feel the same way about Michelle about Ran and the Grey World, but I have read a little bit of Urusei Yatsura before, and while it might not be as polished as Takahashi’s other works, it is a true manga classic. I’m glad it is going to be in print again, so it is my pick. KATE: I’m going to be predictable and recommend Silver Spoon again, but I’m also going to back Sean’s play with Urusei Yatsura. Hiromu Arakawa and Rumiko Takahashi are the undisputed Queens of Shonen and deserve some love from American readers! ASH: I’m looking forward to reading more of Ran and the Gray World and of course Silver Spoon, too. 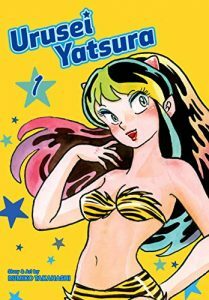 But all else being equal, I tend to favor debuts for my official picks, so this week I’ll be choosing Urusei Yatsura. Though, I suppose technically it’s not a really a debut… but it will be the first time I’m reading it!